Discriminating homeowners in Arkansas, Louisiana and East Texas trust Martin Signature Homes to design, build and finish the homes that make dreams come true. As the leading custom home builders in Shreveport LA and Little Rock AR, we’ve helped hundreds of our neighbors throughout the region to realize their dream of living in a fully customized home that reflects their style while meeting their every need. We can do the same for you! No matter where you plan to make your home, Martin Signature Homes is there for you. Whether you choose to live in one of our high quality communities, or ask for our assistance in selecting your own home site, we can help make the entire process engaging and enjoyable for you. We understand the special requirements of building a custom home to meet the challenges of weather and climate in the south central region. We’ll help you make choices in materials and products that will deliver the best performance and value, while creating a beautifully crafted residence for your family. Equally as important, we are familiar with the process and procedures necessary to make your new home project run smoothly and easily from start to finish. 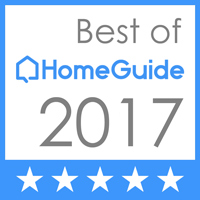 Martin Signature Homes has earned a reputation among custom home builders in Shreveport LA, Little Rock AR and across the country for quality work, attentive service and enduring value. Take advantage of our experience, professionalism and commitment to your satisfaction when creating a new home for your family. Contact Martin Signature Homes today to schedule a convenient time to meet and discuss your plans.